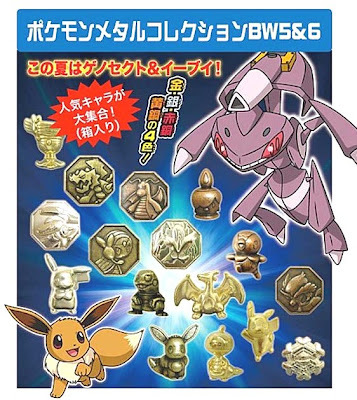 Kyoudo will re-release the following Pokemon Metal Collection BW 5 and 6 in the beginning of July 2013. Capsule toys. A figure/plate has 4 color variation. 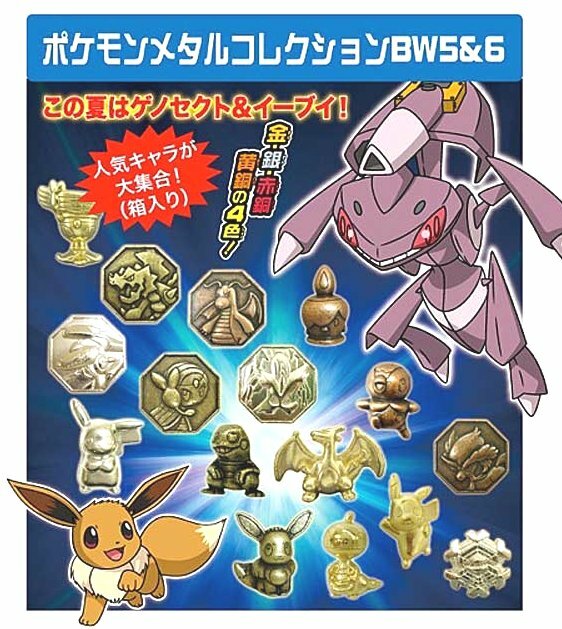 (gold, silver, brass, shakudo).